Dan Brown is a partner in the Business Trial Practice Group in the firm's New York office. Dan is also the Chair of the firm's Pro Bono Committee. Dan's expertise in complex commercial litigation and arbitration covers a wide variety of areas and industries, and includes the defense of individual and class actions. 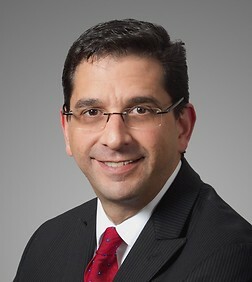 He has successfully brought and defended numerous claims alleging violations of the antitrust laws, New York and New Jersey consumer protection laws, the American’s with Disabilities Act, the Anti-Terrorism Act, the employment laws, and for breach of contract, fraud, and breaches of fiduciary duties in many industries, including, but not limited to, hospitality, aerospace, electronics, fashion, jewelry, distribution, self-storage, manufacturing, distribution, retail and banking. A significant part of Dan’s litigation practice involves the representation of large and independent/boutique hotel brand managers, franchisors and owners in various disputes arising from the hotel owner-manager relationship, including litigating high profile cases alleging breach of contract and breach of fiduciary duties, violations of the antitrust laws, and defending against terminations of hotel management agreements, including by "midnight raids." Dan served as trial counsel in cases that set the standards for determining damages in the context of premature terminations of hotel management agreements. Mr. Brown was a member of the pro bono team at Sheppard Mullin receiving the 2011 Frankel Award from Human Rights First for their successful representation of Abdalmageed Haroun, a prominent human rights activist and former Sudanese prisoner. In the Sudan, Mr. Haroun's work focused on women's rights, the plight of internally displaced refugees, and the victims of the conflict in Darfur. As a result of his selfless and heroic efforts, Mr. Haroun was detained for months, persecuted, tortured, and threatened with death by the Sudanese government, forcing him to flee the country. The firm represented Mr. Haroun in connection with his application for asylum in the United States. Mason, et al. v. Antioch University, et al., 15-cv-05841 (E.D.N.Y.). Obtained pre-answer dismissal of discrimination and fraud claims for lack of personal jurisdiction under New York’s long-arm statute. Avalos v. IAC/Interactivecorp. et al., 13-cv-08351 (S.D.N.Y). Obtained pre-answer dismissal of complaint concerning internet dating profiles and asserting claims under the Lanham Act, Copyright Act, RICO statute, and state laws. In re MSR Resort Golf Course, LLC, 11-10372 (Bankr. S.D.N.Y.) and In re M Waikiki (D. HI.). Successfully represented Marriott in two high profile litigations arising from termination of hotel management agreements. Defended multiple defendants in claims under the Anti-Terrorism Act, Alien Tort Statute, Torture Victim Protection Act, and common law arising from the September 11, 2001 terrorist attacks. See, e.g. In re Terrorist Attacks on September 11, 2001, 714 F. 3d 659 (2d Cir. 2013). Taxis for All Campaign v. Taxi & Limousine Commission, 11-cv-00237 (S.D.N.Y.). Achieved a historic settlement with New York City In this case challenging the New York City taxicab fleet as not wheelchair accessible, in which the City has agreed to have the New York taxi fleet, which is currently only 1.8% accessible, become 50% accessible over six years. BCID v. Bloomberg, 11-cv-6690 (S.D.N.Y.). Successfully represented and tried a case on behalf of a class of all persons with disabilities in New York City alleging that New York City has failed to adequately plan for people with disabilities in emergencies. Cohen vs. T Mobile USA, Inc. et. al, 10cv02913 (E.D.N.Y.). Obtained a pre-answer and pre-motion dismissal on behalf of T-Mobile USA, Inc. in a case alleging violations of New York General Business Law § 349. Kalimantano GmbH, et. al v. WatchNetwork.com, Twitter Inc., et. al, 13 -560 (S.D.N.Y.). Successfully represented WatchNetwork.com in case alleging violations of the Anticybersquatting Consumer Protection Act, defamation, damage to business reputation, and invasion of privacy in connection with information on the defendants’ websites. Respira Health LLC v. Med Biogene, Inc., 650365/2011 (Sup. Ct. NY. Co.). Successfully defended biotech company against lost profits claims arising from alleged breaches of a letter of intent. Banxcorp v. Bankrate Inc., 2:07-cv-03398 (D.N.J). Successfully represented LendingTree against antitrust claims. Member of litigation and trial team for Samsung Electronics in the largest ever civil antitrust case. In re SRAM Antitrust Litig., MDL No. 1819 (2006-present): National counsel defending civil price-fixing class actions regarding computer memory chips. Camofi Master LDC, et al. v. Advanced Cell Technology, Inc., Index No. 652816-2011 (N.Y . Sup. Ct. 2013); Cranshire Capital Master Fund, Ltd., 11 Civ. 8755 (DLC)(JCF)(S.D.N.Y. 2012); Black Mountain Equities, Inc. v. Advanced Cell Technology, Inc., 11 Civ. 7305 (PAE) (S.D.N.Y. 2012); Alpha Capital Anstalt v. Advanced Cell Technology, Inc., 09 Civ. 670 (LAK) (S.D.N.Y. 2012). Defended biotechnology company in lawsuits alleging failure to honor convertible note and warrant obligations. Obtained favorable settlement of each lawsuit. Blue Tree Hotels Investment (Canada) Ltd. v. Starwood Hotels & Resorts Worldwide, Inc., 369 F.3d 212 (2d Cir. 2004). Successfully argued the appeal before the Second Circuit Court of Appeals, which resulted in the dismissal of alleged antitrust violations against the defendants arising from purported violations of the Robinson-Patman Act. Lead litigator for the indenture trustee for $1.7 billion in notes in the Adelphia bankruptcy proceedings. Successfully defeated an action seeking injunctive relief and the attachment of the assets of an apparel company. Represented an inventor of computer software and business owner in an arbitration arising from the purchase of his business and software. Represented a multinational conglomerate corporation in an international arbitration concerning a distribution and licensing agreement. Represented an appliance manufacturer in an international arbitration concerning the termination of an exclusive distributorship. Represented a cell phone manufacturer concerning its rights under a joint-venture agreement. In Hall v. New York Roadrunners Club, 99-Civ.-4122 (E.D.N.Y. ): Lead counsel for Plaintiffs, a lawsuit brought under the Americans With Disabilities Act in connection with the running of the New York City Marathon. The historic settlement of that lawsuit included equal treatment for wheelchair athletes in the largest spectator event in the world. Mr. Brown has made significant contributions to cases that have been reported in the New York Law Journal, New York Times and Wall Street Journal. Mr. Brown has also appeared on CNN, NBC and Court TV. Mr. Brown has been a featured speaker at hospitality, antitrust, electronic discovery and other Continuing Legal Education programs. Litigating in Bankruptcy Court: Do You Know Where You Are? ‘Koehler’ provides greater New York state access to banks for collection. Arbitrating Hotel Management Agreement Disputes: Beware of "Arbigation"
Author of a comprehensive chapter on U.S. antitrust and federal civil procedure in International and Comparative Competition Litigation, a treatise comparing the competition laws in over 20 jurisdictions world-wide. ABA Award Recipient Honored to be Attorney for "Heroes"